Do you have a great future or are you stuck?TheCanadian Goosereveals a direction.He’s on the lower left edge, head up, in endless waters. Branches in the upper leftimply he’smoving forward. The reflection of gray clouds indicates that troubles areleft behind. A photographer can compose an image to mirror his or her state of mind, or send a message of beginning, ending, hope, or despair. 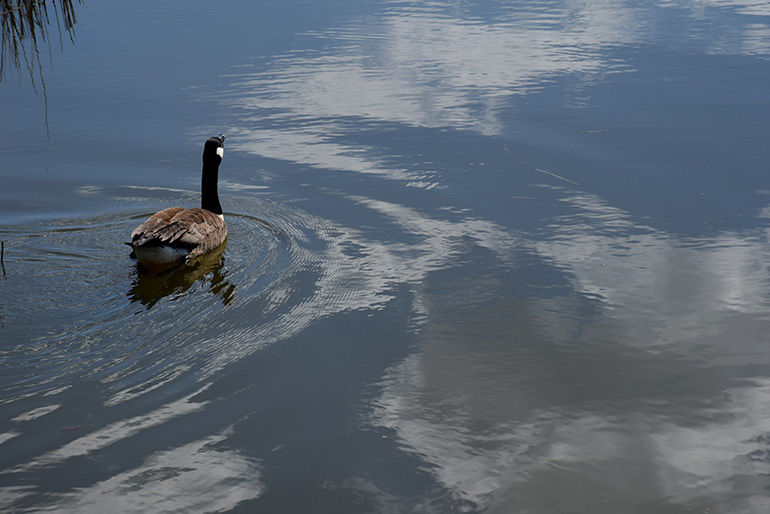 If the image was flipped, with the goose looking into the dark edge of the water, what would it say to you?